As a tech entrepreneur schooled by Eric Reis' "The Lean Startup", I tend to think of technology as being the driving force behind the success of my business. This book taught me otherwise! Through carefully examining the customer value chain in my vertical I was able to truly discern between business model drivers, e.g. which activities I make better for the customer, how I do it, when I intersect the customer's decision making process, how much I charge, from business model enablers (data, algorithms, platforms). With this newly acquired clarity, I am better equipped to problem solve on behalf of the consumer. 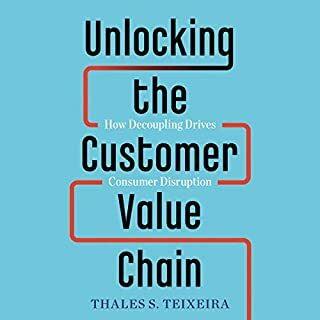 What is more, having to always go back to the Customer Value Chain and check my assumptions is not just illuminating, it is also truly transformative as it forces a much higher dose of empathy for my customer than I had ever had before. The author himself exhibits tremendous empathy by providing in depth examples of successes AND failures in serving customers. If you have an entrepreneurial dream of providing something new or better to the world, read this book! It will help you think about your dream the right way, and you'll be off to the races!